President Obama refuses to sign Eagle Scout certificates. The White House is renaming Christmas trees as “holiday trees.” The new health care law grants all illegal immigrants free care. I know this secret information that is not reported by the mainstream media because trusted close friends of mine have sent me chain letter emails informing me of these “facts” and telling me that if I love Jesus and America, then I will forward the emails to dozens of others. Of course, none of the above is true…well, except the part about receiving the emails. Oh, you get them too? Don’t believe everything you read. Mama told us that sage advice, but in today’s divisive political times, it is worth repeating. Most of us don’t believe everything we read, that is unless we agree with it. Then, of course, it must be true. In today’s partisan political environment, many otherwise sane people (some even with advanced degrees, shhh!) seem willing to believe the most ridiculous statements if those statements reinforce their preexisting views. The claim that President Obama is a Muslim and that he was not born in the United States top the charts. No respectable opponent of Obama, especially not Mitt Romney, would use such a charge because it would be political suicide (just ask Rick Perry or Donald Trump). But the email whisper-campaign continues among true believers. I have a friend from Georgia who used to send me email chain letters and ask in all caps, IS THIS TRUE? I told him if it doesn’t pass the sniff test, meaning if it defies common sense, then it is probably not true. I referred him to the nonpartisan debunking web site Snopes.com to investigate his claims. He said that that web site was owned by leftist billionaire George Soros, which is yet another false rumor (also known as a lie). Snopes.com is an excellent nonpartisan source for myth busting. Chain letters are nothing new. But these viral email chain letters just started in the last decade with the explosion of the Internet. Instead of a stamp, all your crazy uncle in the attic needs is a computer and a send button to keep the chain going. I am reminded of the old Weekly World News, which used to be sold at grocery store checkout counters. (It is still online). 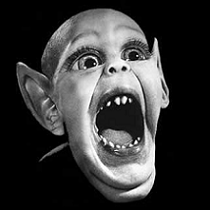 It had headlines such as “Bat Boy Meets Elvis on Mars.” You would think people would know that story is not true, but I’m beginning to wonder. In politics, some people will believe anything about their opponents, no matter how outrageous and untrue. The overwhelming majority of email chain letters are from the conservative point of view. Opponents of President Obama would do better to debate his policies on the merits rather than spread nutty lies that undermine their credibility. The good news is that the American people can be trusted to sort through the facts and find the truth. Oh, and psst! I think I just saw Elvis at McDonald’s in Tupelo with Bat Boy and Obama.